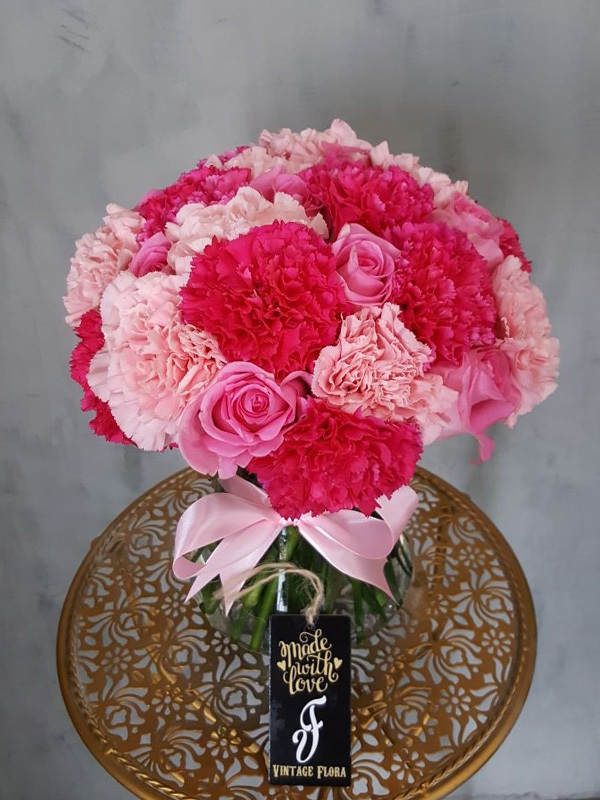 An irresistible combination of assorted pink roses and fresh carnations designed in a glass vase. Just perfect for Valentine’s, Mother’s Day, or any loving occasion. Soft, feminine, and gorgeous!